Lutheran Haven in Oviedo had it's biannual yardsale today. We visited the sale with a grandma today and had a lovely time. Perks of living closer to family these days. We managed to pick up a couple of awesome bargains too. 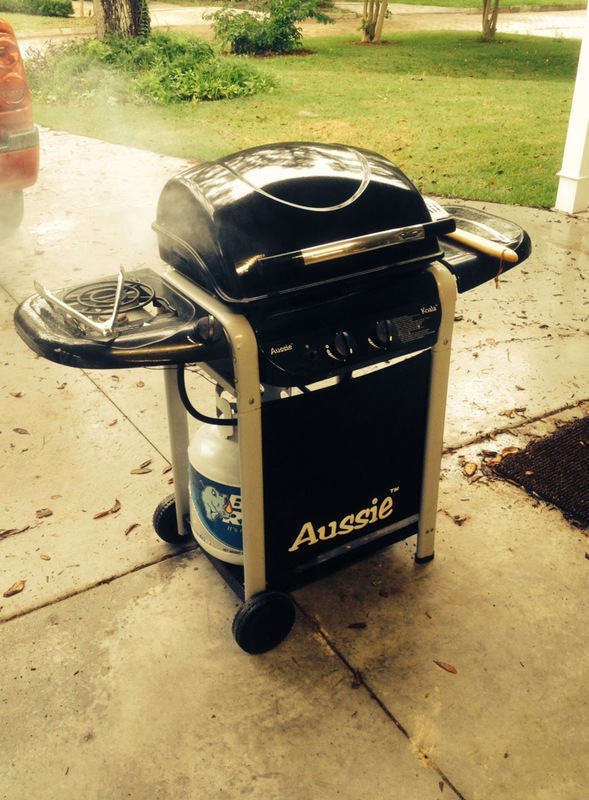 The adults were happy to find an Aussie brand grill with side burner for $20 - no rust and it started right up when we brought it home. The kids took their allowance in case they found something interesting. 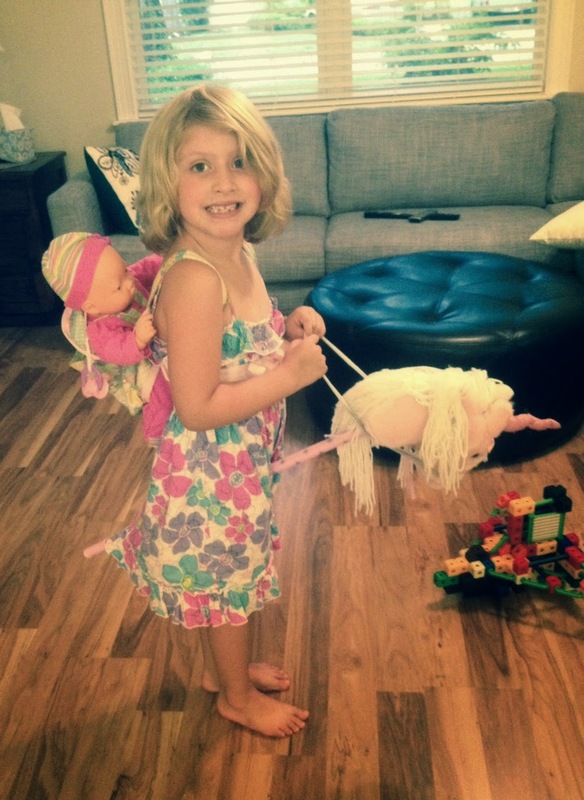 Elisabeth purchased a pink, plush, stick unicorn with prancing sound for $2. It was surprisingly clean and intact. We didn't even realize the sound worked until I turned on the battery pack. She also found a baby carrier for her dolls for 50 cents. She was thrilled. Jonah picked up a handful of figures for a $1 which included a Safari Ltd. Purple Chinese Dragon figurine that usually retails for $10 or more. Quality family time and bargains - love it! Such a wonderful day this was,most of all glad Jonah was better so he could enjoy himself in his search for treasures,he did like rest of us find some neat things and Elisabeth and her stick unicorn pony she had so much fun with plus her other finds,best buy of course was grill for Mom and Dad. A real fun day even with a sprinkling of rain now and then did not dampen our spirits.